Wetzlar, 20 October 2015 - The Leica SL system marks the beginning of a new era of professional photography made in Germany. The Leica SL mirrorless system camera is impressive on account of its innovations in exceptional Leica quality. Its 24 MP full-frame CMOS sensor and perfectly matched components – from superior-quality lenses to its electronic viewfinder – guarantee exceptional imaging performance. Developed especially for the Leica SL, this electronic viewfinder is the first of its kind to feature Leica EyeRes technology. With a latency time below the threshold of perception, an impressive resolution of 4.4 million pixels and a magnification reminiscent of a medium format camera, this electronic viewfinder offers an entirely new visual experience and numerous advantages: the final image is visible in the viewfinder before the shutter release is pressed, which enables optimum control over the final picture in any situation. The EyeRes viewfinder is activated simply by looking through it. In addition, the Leica SL also features a 2.95? back panel display with a viewing angle of up to 170° that enables reliable viewing of pictures and efficient touchscreen menu navigation. The combination of outstanding imaging performance and the fastest autofocus currently possible makes working with the Leica SL an entirely new experience and enables photographers to produce images in a quality never before seen in 35 mm format. True to Leica’s principles, the new lenses specific to the Leica SL are distinguished by superior optical and mechanical precision. With its wide range of focal lengths and high speed, the Leica Vario-Elmarit-SL 24–90 mm f/2.8–4 ASPH. is the ideal standard zoom lens in the Leica SL-System portfolio. The zoom range of the fast Leica APO-Vario-Elmarit-SL 90–280 mm f/2.8–4 follows on directly from this and the current lens portfolio is rounded off by the Leica Summilux-SL 50 mm f/1.4 ASPH., the new reference lens for this focal length. 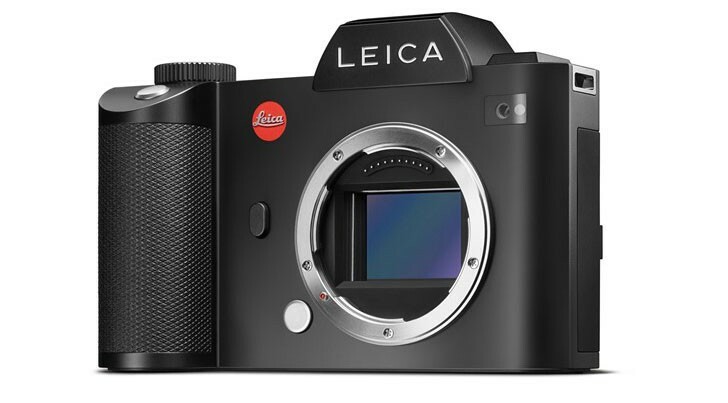 The Leica SL (Type 601) body will be on sale from 16 November 2015. The Leica Vario-Elmarit-SL 24–90 mm f/2.8–4 ASPH. zoom lens will be available at the same time. Further Leica SL lenses will follow.